You know what apps are. You see them everyday. They’re in your pocket, on your phone. Google Maps gets you around, But did you know that there are two different types of apps? Native and web apps; they may seem very similar but these two types of apps provide very different experiences for you and your users. It’s safe to bet you interact with native apps on a regular basis, which you download from the app store onto your phone as an app icon. Native apps are designed for a specific device and need to be downloaded directly to the device. They tap into a device’s native functionality allowing for a more interactive experience for your client. For example, native apps will allow your users to access their device’s camera, receive push notes or share their location through the app. Native apps are also great as they’re right there on the home screen, easily accessible to the app user. Web apps are apps that are accessed through the web browser on a mobile device, like Safari or Android. This makes it a great option if your client base includes a good deal of Blackberries and Windows phones as well as Androids and iPhones. While web apps allow you to reach a wider audience, their functionality can be limited, as they do not have the same abilities as a native app. 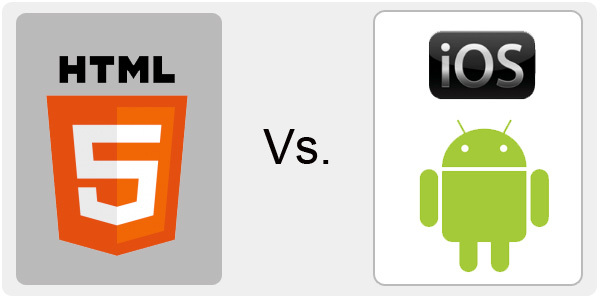 The App Office HTML5 mobile websites provide a very similar experience to a web app. A web app is great if you have a traditional website, which is not designed for the small screen. Fortunately with our platform you don’t need to spend money on a responsive mobile website, if you build an app with us. Once you have created your native app, our platform, also generates a web app and you can insert it’s details into your old website, so when anyone visits you site it will give a mobile website version of you app, that’s called a web app. This makes your website mobile friendly and open to any mobile device with a web browser. We definitely recommend providing a native app for your clients. This rich experience will make sure your app is one of their go-tos on their home screen.